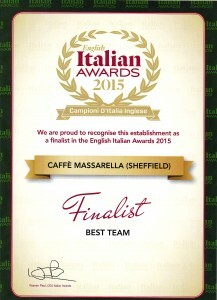 It’s always lovely to get something nice delivered in the post, so you can imagine we were more than thrilled when our Italian Awards certificates arrived at our Meadowhall store the other day! We are running in three categories; Best Restaurant, Best Café and Best Team, and are already geared up for the Gala Final in Manchester on October 4th! 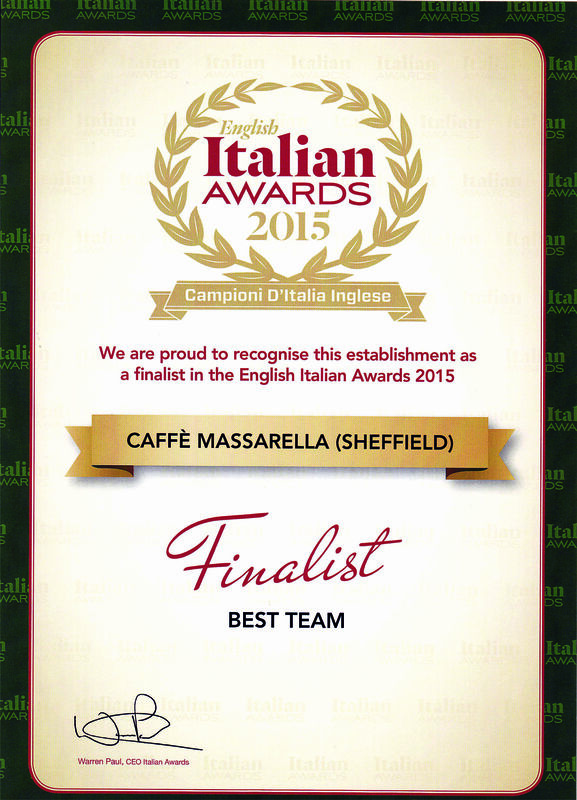 Here’s one of our three shiny certificates – keep your fingers crossed for us!